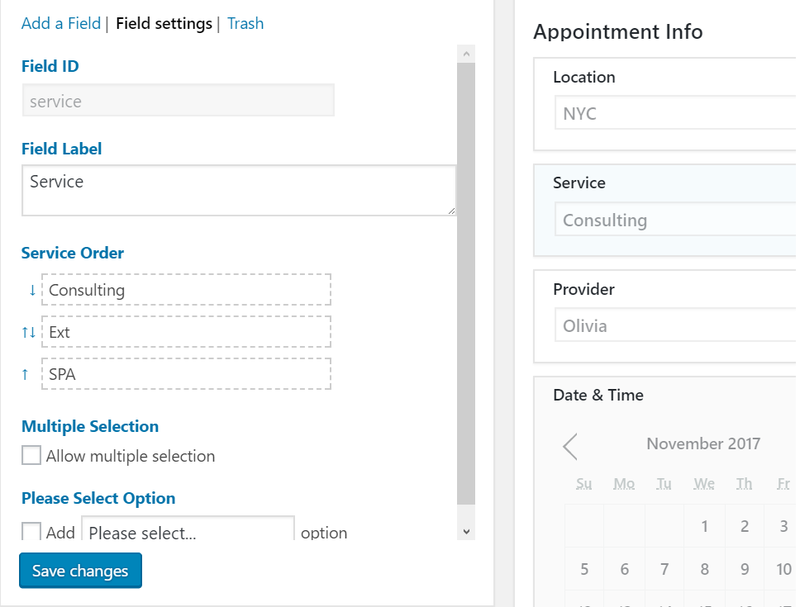 If you have multiple locations, and you want to change the order of location options displayed in the booking form, go to WP Admin > BookingRobin > Settings > Form builder, click on location field, and at the settings section, reorder location options there. 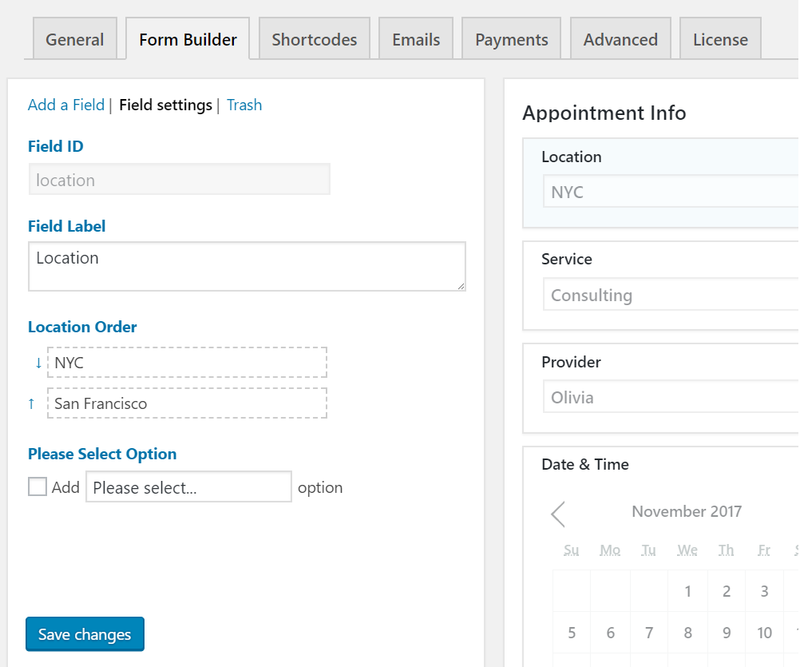 Go to WP Admin > BookingRobin > Settings > Form Builder, click on Service field. At the settings section, reorder Service options there. 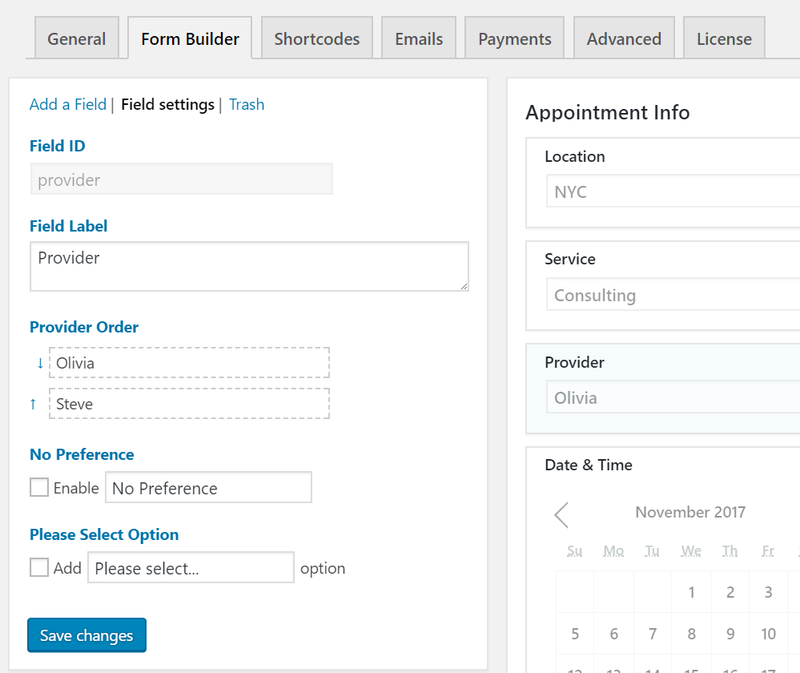 Go to WP Admin > BookingRobin > Settings > Form Builder, click on Provider field. At the settings section, reorder Provider options there.